LOOKING FOR A FAST TRACK SOLUTION FOR YOUR SUMMER CAMPAIGN? With Liquid Barcodes you can fast track! Do you want to keep it super-simple and avoid asking customers for consents? If that´s the case you can use our fast-track campaigns product. A concrete summer campaign idea is presented below. If you want to avoid asking for consent and simply do only a simple campaign you can use our fast track campaigns product where the “hub” is a landing page. The campaign is in many ways similar as the above, however there is no web app experience where new content re-fresh every day. So it is cut down to the one campaign, not multiple campaigns as the web app experience allows. 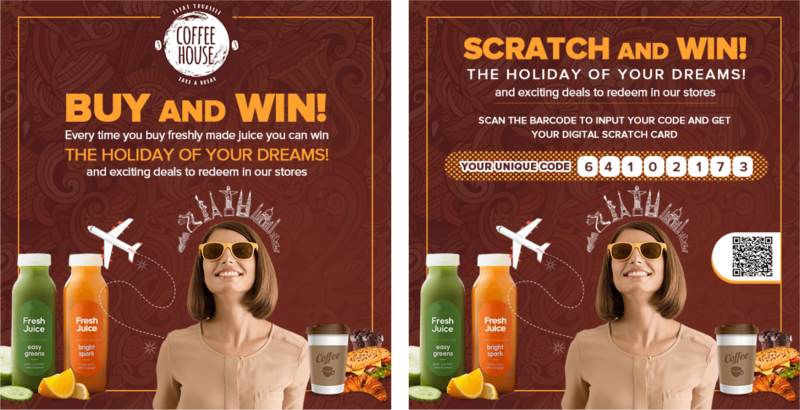 every customer that buys a freshly made juice gets a printed voucher with unique code – a ticket to scratch and win the holiday of her dreams. customer goes to campaign landing page liveloyalty.com/land/xyz to register and redeem the code and once redeemed get the promised content via SMS: a digital scratch card. 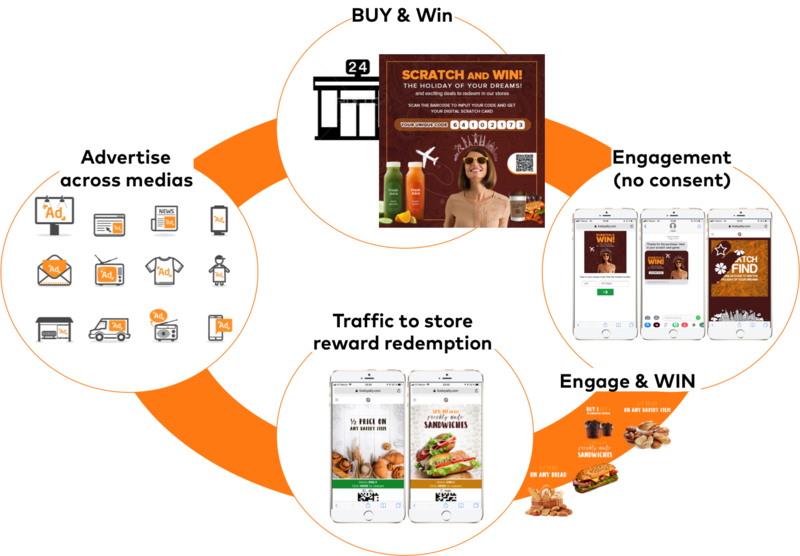 The customer scratch – and may win. If she does not win the big prize (only a few lucky ones do) she may win a smaller prize. This may be multiple of your own or suppliers´ products – vouchers to redeem in store. The vouchers may be free samples or discount coupons. customers come to store to redeem their voucher before expiration. For this demo campaign you can use the code on the printed voucher below. This code is for simplicity of demo a multi-use code. In a real life environment all printed codes will be unique and single-use. Do you want to collect consent from consumer and do a more strategic summer campaign? Check out this fast-track loyalty idea!